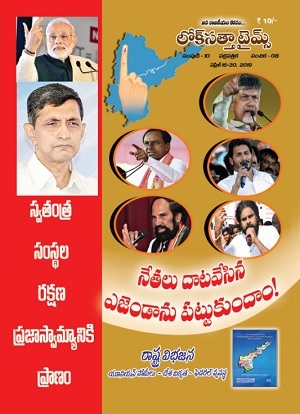 The Loksatta Party, which reviewed the party’s performance in the Assembly elections in the Telangana region, today decided that its leaders and workers should continue to be amidst people and strive to address their problems. 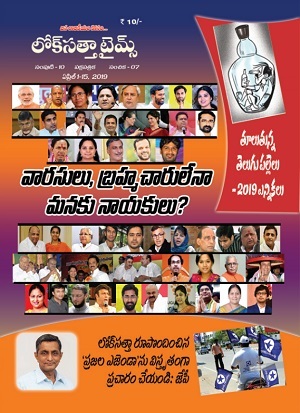 Loksatta Party national President Dr. Jayaprakash Narayan, who attended the meeting, heard most of the 39 contestants in the election narrate the challenges they faced in the elections. They drew attention to the traditional parties’ attempts to induce voters with money and liquor. Dr. JP said that irrespective of the outcome in the elections, the party should focus on strengthening itself in the region. It should complete organizational elections pending in some districts and get ready to face municipal elections due in six months in Hyderabad, Warangal and some other places. Mr. Bandaru Ramamohan Rao, Convener of the Telengana Coordination Committee, and party leaders V. Vijayender Reddy, P. R. Rao, G. Raja Reddy and K. Geeta Murthy took part in the meeting.